PEEK-shop.de is the webshop of BIEGLO where you can buy PEEK-products. We specialize in PEEK and offer: granules and semi-finished goods. At BIEGLO we love PEEK, because it is the best performing thermoplastic. We build an international network of partners that share our passion for high-temperature polymers, companies that share in our growth. Our webshop has opened very recently and we still encounter minor technical problems. If you see a problem while using our webshop, please let us know by sending a short E-mail to info@peek-shop.de. Thank you for your support and understanding. PEEK-SF products made from PEEK raw material for example are rods, tubes, sheets and films. There are several ways to produce PEEK-SF products. Extrusion is the most econonmical way to produce small diameter rods and tubes. Injection moulding is favourable for finished parts and for short tubes. Rotomoulding and hot compression moulding are expensive processes but suited for large outer diameters and relatively thin walls in tubes. PEEK-shop.de offers PEEK-SF products from a large number of producers from Europe, Asia and the USA. PEEK is a semi-crystalline thermoplastic with excellent sliding properties, very good mechanical properties (even under thermal load) and an excellent resistance to chemicals. The great plasticity allows a wide application in all kinds of industrial field as in chemistry, transportation and other mechanical applications. PEEK granules are widely used for the Semi-Finished production and for finished parts made by injection moulding. Granules can be natural PEEK or a compound. It started many years ago when we became the distribution-partner of one of the biggest PEEK-producer in the world, the product is called CoPEEK. This was the foundation of our PEEK-business and we have a growing number of happy CoPEEK-granules-customers. Later we were frequently asked to offer PEEK-shapes (rods, tubes, sheet, film and filaments) and eventually we purchased these items from our customers. Over the years we saw growth in the business of PEEK-granules and PEEK-shapes. PEEK-shop.de is the step to bring our portfolio of PEEK-products closer to small and international customers, so everybody in the world can profit from our great offer of competitive PEEK. PEEK rods from PEEK-shop.de offer resistance to elevated temperatures, radiation and chemicals. Their dimensional stability and mechanical strength are second to none. Easy machining and wide range of certifications are given advantages. 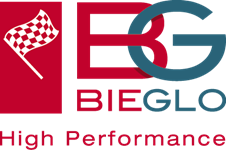 BIEGLO offers additionally tribologically modified PEEK with superieor sliding properties and abraision resistance. PEEK Granules are produced using modern filtration. We offer CoPEEK in various viscosities. PEEK Granules can be converted to semi finished products by extrusion process. PEEK tubes are mostly extruded or hot-compression-molded. PEEK-shop also offers injection molded tubes in short length and special thinwall tubes. Our tubes are generally produced in Europe, extruded tubes are mostly made in Germany. All the productions are in compliance with highest quality standards. Tubes from compounded PEEK are also available on request.